Former Russian spy Sergei Skripal has been discharged from a British hospital, more than two months after he was poisoned with a nerve agent and left fighting for his life, health officials said Friday. Skripal, 66, and his daughter Yulia were found unconscious in the English city of Salisbury on March 4, and spent weeks in critical condition. Yulia, 33, recovered more quickly than her father and was discharged last month. Salisbury District Hospital said Friday that all three people hospitalized in the attack — the Skripals and a police officer who came to their assistance — had now been released. The Skripals have been taken to an undisclosed location for their safety. "We have been able to discharge Sergei Skripal," said Lorna Wilkinson, director of nursing at the hospital. "This is an important stage in his recovery, which will now take place away from the hospital." Sergei Skripal is a former Russian intelligence officer who was convicted of spying for Britain before coming to the U.K. as part of a 2010 prisoner swap. He had been living quietly in the cathedral city of Salisbury, 90 miles (145 kilometers) southwest of London, when he was struck down. 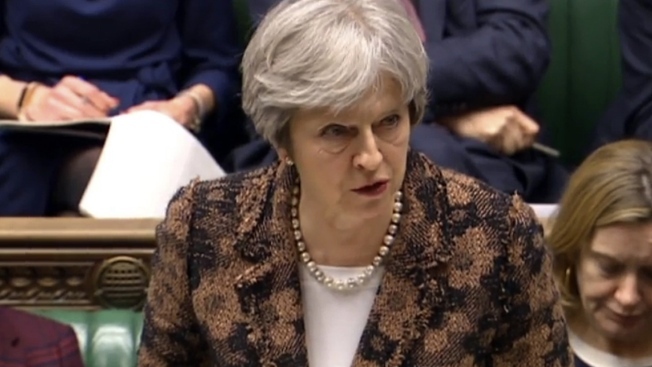 Britain says the Skripals were poisoned with a military-grade nerve agent and that Russia was behind the attack. Moscow denies it. The poisoning has sparked a Cold War-style diplomatic crisis between Russia and the West, including the expulsion of hundreds of diplomats from both sides. The international chemical weapons watchdog has backed up Britain's finding that the Skripals were poisoned with Novichok, a class of nerve agent developed in the Soviet Union. Russia says Britain can't prove that the substance used to poison the Skripals was made in Russia. British police say they believe the toxin was smeared on the door handle of Skripal's suburban house. Hundreds of counterterrorism officers and support staff have been assigned to the case but police have not yet named any suspects.